Marlborough Pool has produced countless memories for so many local and visiting anglers alike. It has a place in carp fishing history. Its setting is iconic and beautiful. However, despite wonderful fish still remaining, it has suffered to otter predation and its future being threatened.The Oxford side of the club has worked tirelessly to try and stop this predation, but with limited funds, are struggling. I have written this article in an attempt to raise awareness for this historic water and to perhaps prompt some readers into supporting our fight, as we desperately need your help.We have set up an Action Group consisting of Dylan Harvey, Geoff Waddle, Paul Timmis, Matt Britton, Niff McColl, Russ Bates and Lee Haraway. All the people listed can be contacted via the Marlborough Pool Facebook Page for further information or discussions regarding support. Any donation will be gratefully received. Please help us save our water. Please help us preserve a part of angling and local history. But most of all, please help us save it for the beginners, the youngsters who fish with their dads, for it is these that are the future of our sport. IT WAS 30 YEARS AGO that I first opened the gate to Marlborough Pool.I found myself remembering the same feeling of excitement, as my son and I walked the same gravel path I had followed all that time ago. The lake was quiet, the odd muted ‘quack’ of a duck echoing in the mist as we crept round, peering over reeds and hesitating to watch the pads for signs of fish. We settled in a swim known as ‘Middleton’s’. 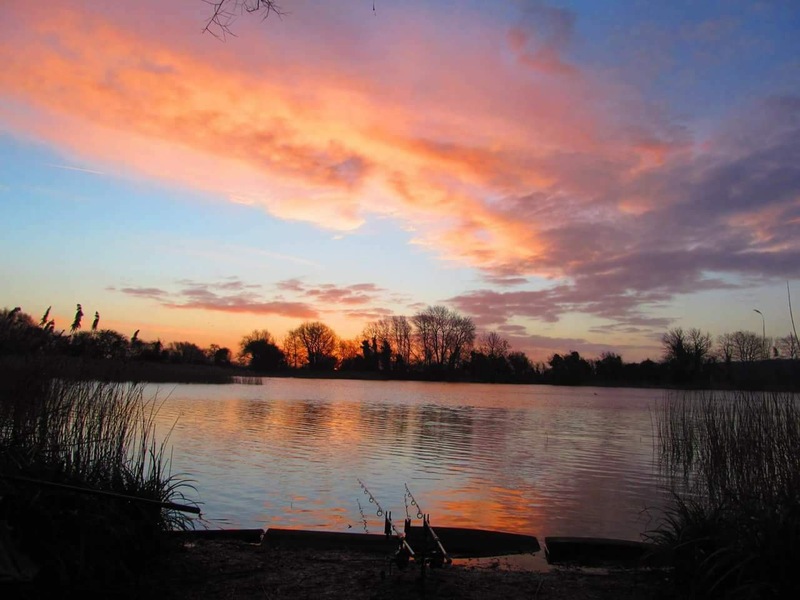 The swim was named after Len Middleton, a famous angler and one who had fished the Pool back in the 80s along with Kevin Maddocks – Maddocks documenting his winter exploits in his book ‘Carp Fever’. A book I read and reread as a boy, making notes, copying drawings and bait ideas, as many of us did back in those days. “Only the biggest in the lake..!” I replied modestly. My boys eyes widened, captured by the air of mystery and the thought of huge fish, perhaps, right now passing silently in front of us as the first rays broke through the trees. My son looked out over the lake, silent. The morning sun caught his eyes, his thoughts were far away imagining what swam beneath..
”What happened Dad?” he whispered, as if aware that talking loudly would break an intangible spell. “How did you know it was the biggest fish in the lake Dad?” he asked excitedly. “It had one black eye, totally black. The fish was called Nelson. Many ‘big names’ in carp fishing had fished for him. He was a very sought after fish, not just locally”. I found myself reminiscing the moment, I remembered the colour of the scales and how huge the fish was. We fished on, both quiet, lost in our own thoughts as the sun steadily rose and warmed our faces.